Please view the historical link in anticipation of Passover beginning this evening. Also, see article below on slain Holocaust survivor. Once more, happy holidays and best wishes. 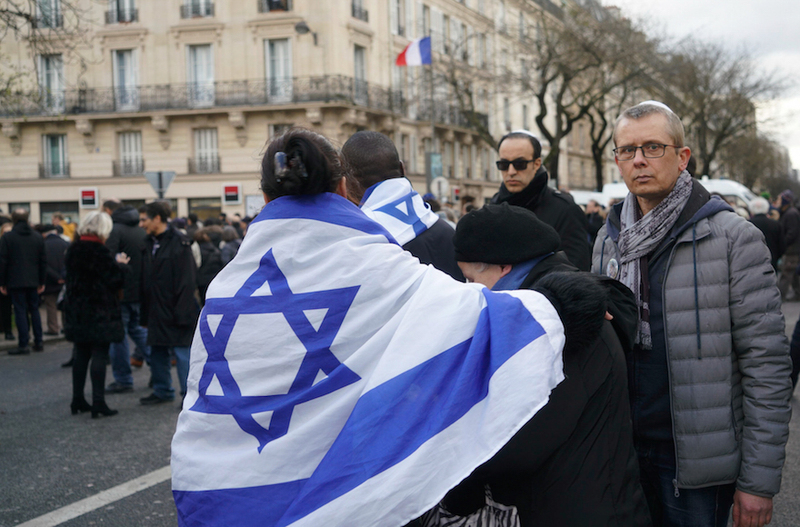 Many of the marchers Wednesday were Jews, and some wore Israeli flags at the march for Mireille Knoll, who was found in her apartment last Friday. The march began at the Paris Nation square and culminated at the apartment. In my congregation’s Tanach study group, we recently focused on the story of Samson in the book of Judges. As we began our discussion, I played a clip of the song “If I Had My Way,” written by Reverend Gary Davis. As we moved into the text, it was clear that verse and song play a major role in this tale. Samson supposedly “said” his short rhyme (Judges 15:16) about picking up a donkey’s jawbone and using it to defend himself against the attack of 1,000 Philistine men. However, because in that moment “the spirit of the Eternal gripped him,” I wondered if Samson had sung those lines. In the next chapter, Samson’s hair has been cut off thanks to Delilah’s power to persuade Samson to share the secret of his strength. His eyes have been put out and it seems he is at the mercy of the Philistines – but not completely. When the Philistines gather at the temple of their god, Dagon, to celebrate this great triumph over their Israelite adversary, they sing to their god who has delivered Samson into their hands (Judges 16:23-24). Our study group noted that the text would have been complete without the song of the Philistines. Why were these short choruses, chanted by the people, preserved in this passage? We concluded that the singing heightened the drama of the moment. It wasn’t simply a quiet sacrifice before the people, but a time to “make merry” at their victory over the supposedly powerless Samson. It is clear to the reader, but not to the unsuspecting Philistines, that as Samson’s hair begins to grow back, he will have the strength to get back at the Philistines after they’ve made him dance for them. We know the rest of the story. The lyrics of the Reverend Gary Davis’ song declare, “If I had my way, I would tear this building down.” And so Samson does. Samson’s action stands in contrast to the Philistines’ celebratory singing and dancing (a misguided celebration, in the view of the biblical author). In a way, Rev. Davis’ song can be viewed as a long-delayed answer to the Philistine chanting against Samson – a midrash that gives the Israelite strong-man one last chance to sing with resolve and power. Song is powerful as an expression of faith and spirit, adding an extra dimension to well-worded prose, whether in the Bible or other sacred texts, and even in our daily lives. We have just finished the celebration of Purim and are approaching the observance of Pesach. What would these holidays be without song? Imagine Purim with no music and no Purim spiel. Imagine a Passover seder with no singing of the Four Questions, “Dayenu,” the Hallel psalms, or “Chad Gadya.” And what would these holidays be without newly-composed melodies and new songs that add meaning for us? On Purim, one of my favorite additions to the ‘Purim spiel in several verses’ genre is Cantor Aviva Rosenbloom’s “Megillah,” set to the tune of the Beatles’ “Ob-la-di, Ob-la-da.” For Passover, Debbie Friedman’s “The Plague Song” and the Allards’ “Ten Plagues in Egypt Land” take a potentially difficult text and offer a perspective that includes learning the lesson that hatred and prejudice have a way of coming back to those who espouse such views. In a recent class with my seventh graders, we took a look at Psalm 51. Each time we recite the Amidah (standing prayer) in our worship, we begin with the best-known verse from Psalm 51, “Adonai, open my lips, that my mouth may declare Your praise.” Psalm 51 is noted as King David’s personal plea to God to ask for forgiveness and to forgive himself for the episode with Bathsheba. Canadian singer/songwriter Leonard Cohen practically wrote his own version of Psalm 51 with the song “Hallelujah,” which refers to this biblical story. Cohen speaks of “broken” hal’luyah, which appropriately describes those moments when we may feel unable or unworthy to praise God or to look positively at our lives. At those times, we especially need song and the voices of others singing with us to lift us up and to help us return to the joy of our lives. Psalm 4 reminds us that God has put joy in our hearts. Whether on holidays, in worship, at times of need, or in moments of celebration, may we always remember to look into our hearts and “open our lips” to sing of the joy that is always within our reach! 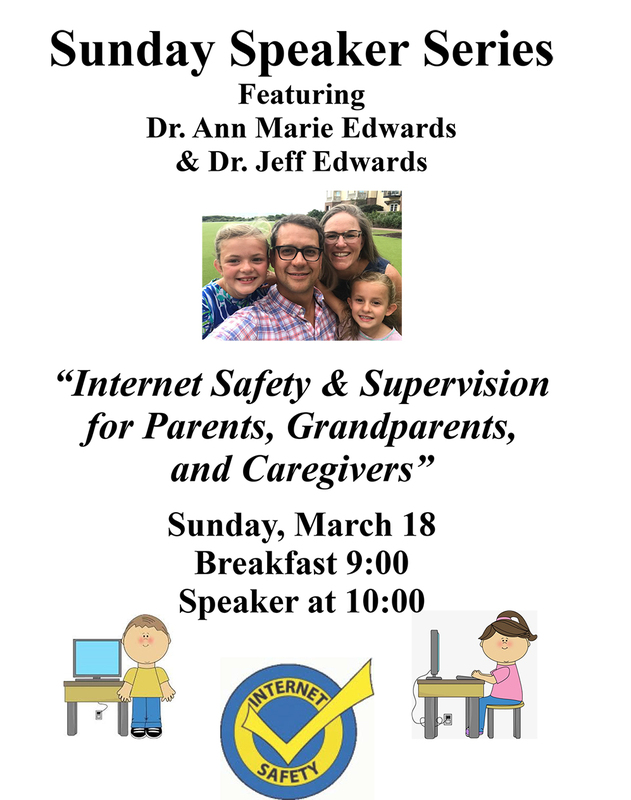 Rabbi Larry Karol serves Temple Beth-El in Las Cruces, NM. A Jewish singer/songwriter, he has released two CDs of original Jewish music and a songbook. Rabbi Karol blogs at RabbiLarryKarol.blogspot.com . Upcoming Events at a Glance! Kabbalat Shabbat: Friday, April 6 beginning at 5:30 with refreshments. This year, Parashat Tzav is read on Shabbat HaGadol, the great Sabbath preceding Passover. It is so called because we find in this week’s haftarah, from Malachi 3:23, “Lo, I will send the prophet Elijah to you before the coming of the great (hagadol) and awesome (hanora) day of the Lord.” With only a week before Passover, and out of great concern for the meticulous preparation that the Festival requires, it was once common to use the pulpit on this Shabbat to deliver a lengthy sermon to outline the rules for Passover. Today, preparations and last-minute questions for Passover are easy to access online for those who are relatively familiar with them and for those who will be leading a Seder for the first time. All of us are commanded to observe the Festival with a seder and Festival services on the first and last days of the seven-day holiday (Exodus 12:14-17). But, are we commanded just as God told Moses, at the beginning of this week’s parashah, Tzav, “Command Aaron and his sons … ” (Leviticus 6:1), or are we commanded differently? While the parashah outlines details of the sacrifices (for example, olah and musaf) that are obligatory on Festivals, we should ask ourselves what it means to be commanded in our time and place. We simply can’t assume that though we are commanded to make Passover, that we hear the commandment in the same way that our ancestors did in previous generations. The following three rabbinic scholars, in their generation, laid the foundation for us to identify how we might hear the commandment, the mitzvah, which was spoken by the Commander, the Metzaveh. Rabbi David Polish (z”l) found meaning in mitzvah through the history and shared experiences of the Jewish people. He explained, “When a Jew performs one of the many life-acts known as mitzvot to remind himself (sic) of one of those moments of encounter, what was only episodic becomes epochal, and what was only a moment in Jewish history becomes eternal in Jewish life.”2 For example, in the singular moment of the ritual lighting of the Sabbath candles or participating in the Passover seder, we’re connected with Jews everywhere in the world, today, and with those who came before us in the past. Still others might feel commanded by their personal duty, rather than by an Eternal Commander (Metzaveh) to demonstrate our people’s legacy of and duty to the cause of freedom. Whatever the source of one’s motivation, it is inextricably bound to a unique moment in our collective narrative. Giving it expression through traditional symbols at Passover, even when it’s woven into a modern context in contemporary Haggadot, enables us to continue seeing ourselves as though we were once “slaves in Egypt,” too; and, that our duty is to bring the power of that redemptive moment into moments in need of redemption, today. The Book of Leviticus will always challenge us with the meaning of ancient rituals, prescriptions, and remedies. They were an ancient prescription for holiness found in the ways that the community responded to God’s command. That we are commanded, today, is an assumption we’re willing to embrace. What we hear is a matter of autonomy afforded us by Reform Judaism. How we respond to what we hear is also a personal part of being choosing Jews. In addition to the Four Questions at the seder, which ask and answer how Passover night is different from all other nights, we might also ask how this night is not different from what it has been for all the generations as we pause in our family’s seder to ask the familiar questions and to respond. Junie White is Being Honored! Junie White is being honored at the Greek Orthodox Church on Thursday, March 22 at 6:00 pm. ! the Signed Chametz Contract is an easy way of observing one of the most important laws in the Torah. (Contract follows below). Chametz which remains in the possession of a Jew over Pesach may not be used, eaten, bought or sold even after Pesach. It is customary to give tsedaka in the performance of this Mitzvah. I, the undersigned, fully empower and permit Rabbi Yossi J. Liebowitz to act in my place and stead, and on my behalf to sell all Chametz possessed by me, knowingly or unknowingly as defined by the Torah and Rabbinic Law (e.g. Chametz, possible Chametz, and all kinds of Chametz mixtures). Also Chametz that tends to harden and adhere to inside surfaces of pans, pots, or cooking utensils, the utensils them- selves, and all kinds of live animals and pets that have been eating Chametz and mixtures thereof. Rabbi Yossi J. Liebowitz is also empowered to lease all places wherein the Chametz owned by me may be found, particularly at the address listed below, and elsewhere. Rabbi Yossi J. Liebowitz has full right to appoint any agent or substi- tute in his stead and said substitute shall have full right to sell and lease as provided herein. Rabbi Yossi J. Liebowitz also has the full power and right to act as he deems fit and proper in accordance with all the details of the Bill of Sale used in the transaction to sell all my Chametz, Chametz mixtures, etc., as provided herein. 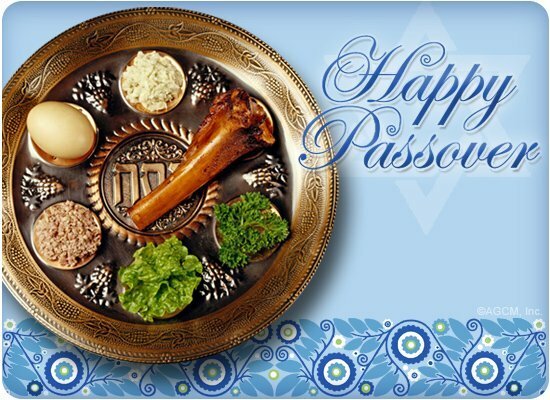 The name Pesach is derived from the Hebrew word pasach, which means “passed over,” which is also the source of the common English name for the holiday. It recalls the miraculous tenth plague when all the Egyptian firstborn were killed, but the Israelites were spared. The story of Passover originates in the Bible as the telling of the Exodus from Egypt. The Torah recounts how the Children of Israel were enslaved in Egypt by a Pharoah who feared them. After many generations of oppression, God speaks to an Israelite man named Moses and instructs him to go to Pharoah and let God’s people go free. Pharoah refuses, and Moses, acting as God’s messenger brings down a series of 10 plagues on Egypt. The last plague was the Slaying of the Firstborn; God went through Egypt and killed each firstborn, but passed over the houses of the Israelites leaving their children unharmed. This plague was so terrible that Pharoah relented and let the Israelites leave. Pharoah then regretted his decision and chased the Children of Israel until they were trapped at the Sea of Reeds. But God instructed Moses to stretch his staff over the Sea of Reeds and the waters parted, allowing the Children of Israel to walk through on dry land. 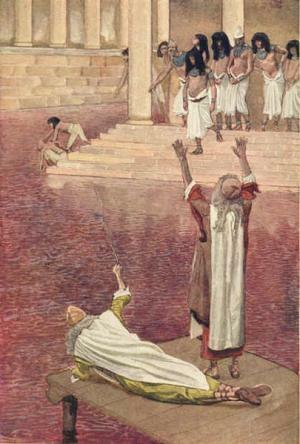 The waters then closed, drowning Pharoah and his soldiers as they pursued the Israelites. The Torah commands an observance of seven days of Passover. Many Jews in North America and all Jews in Israel follow this injunction. Some Jews outside of Israel celebrate Passover for eight days. The addition of a day dates back to 700-600 B.C.E. At that time, people were notified of a holiday’s beginning by means of an elaborate network of mountaintop bonfires. To guard against the possibility of error, an extra day was added to many of the holidays. Today, a dependable calendar exists, allowing Jews to know when holidays start and end. However, the process remains ingrained in Jewish law and practice for some Jews living outside of Israel today.